> Here's a HAZMAT sticker that will leave UPS, FedEx or USPS scratching their heads. 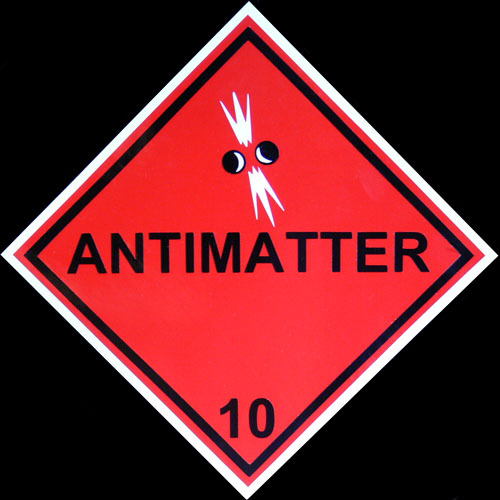 Available in 2 sizes - standard 4" HAZMAT sticker for sticking on shipping boxes/packages, etc. or giant 10" size for applying to trucks, vehicles, doors, etc. These are professional vinyl graphics. They are NOT simply color printed on vinyl or paper sheet. Each individual component of the graphic is cut separately on its specific colored vinyl. The components are then layered by hand to form the completed graphic. Ready to apply with self-adhesive backing.